We figured out it boarded the Landcruiser sometime when we were in Maun. We spent a few days in the campsite there to work on the engine, buy supplies, and send e-mails, allowing plenty of time and opportunity for a stowaway to make itself comfortable. I saw my chance and didn’t hang about. Quicker than a cat’s paw, I raced across the tarmac, hustled myself into the basket, and hid between an over-ripe banana and a mango. I noticed my whiskers trembling from the corners of my eyes and tried to calm down. But when the basket began to swoop through the air, my heart lurched. I stuttered and bounced amongst the fruit like a pebble in a tumbling wave. Then everything went dark. The first sign of its presence was a flash of brown in the footwell as we drove. I thought it was a bit of dirt blurring my sight, but the second time it happened I knew for sure; we had company. A family mascot. The kids and I thought it was cute, a bright-eyed scrap of life. Frank was less enamoured. Life was getting hairy in my own neck of the woods, too many curious neighbours, you know what I mean? It was time to hit the road. Man, did all my dreams come true in my new home. It was noisy—the engine roared all day, covering up the pitter-patter of my activities—and it was warm. I found an old piece of cloth, shredded it, and made a nest in the hollow wall of the car, near one of the rear lights. Best of all, I was surrounded by delicacies. Packets of rice and pasta, boxes of sweet biscuits and savoury crackers, sachets of peanuts, crisps and dried apricots. And chocolate. I had hit the jackpot. Frank glared at the glutinous, yellow crust and spent the next hour scraping and scrubbing. It was time to stop being soppy, he muttered, and start doing something about the pesky animal. The kids and I protested, equally firmly: We refused to entertain the idea of setting a lethal trap. So, as we travelled from Botswana through Namibia, we stopped in several major towns to hunt in shops and natural history museums for a humane means of capturing it. There was none to be had. Africans, it seems, are not burdened with sentimentality for wildlife. Well, pardon me for not keeping things squeaky clean. Hard cheese, I say. Or should I say custard? Ha! No, I mustn’t be unkind. They complained about the scurrying sounds I made at night. I heard them worry I might chew through electrical wires (I ask you, why would I do that when I was surrounded by tastier things to nibble?). And the smallest one giggled when he found my droppings in the cereal box. He called them black rice grains. But I knew they liked me really, all except the biggest one. In Zimbabwe, Frank decided to empty the entire car. The kids’ seats, their mattresses and bedding, the crates of food and the fruit basket, the toolbox, the pots, plates and pans, the cutlery, the suitcases of clothes. Everything came out. The Landcruiser looked like it had been gutted. In one box, Frank found a torn bag of kidney beans, the contents spilling like burgundy paint. Then he let out a yell. Yep, me and the biggest one did not see eye to eye. We were like chalk and cheese. We had different priorities in life. I was prepared to be understanding of his limitations but when he destroyed my cosy bed, I tell you, I was cheesed off. Frank’s attempt at flushing the culprit was unsuccessful and the children and I were secretly relieved. After one month of living in parallel, we had grown fond of our tiny trespasser. It was no longer an it but a he. We loved to sing out our sightings of him—“I just saw Squeaky, Mum!” or “He’s heading your way, kids!”—so I was sad when we arrived at the home of friends in Lusaka, our final destination. It meant the end of our journey through southern Africa and the end of a charming friendship. We unloaded all our gear and brought a crate of leftover tins into the kitchen for our hostess to sort through. I hoped the stowaway would choose his moment, in all the chaos, to find himself a new home, perhaps amongst the many neglected outbuildings dotting the garden. Two ancient, benign poodles tottered over to us to investigate. I patted their woolly flanks and they looked up at me with sugary eyes, tails circling. Two hours later, as the children were watching TV and the grownups talked in the living room, a high scream electrified us. I rushed into the kitchen, just in time to see a mouse skid round the corner and dash into the laundry room, taking shelter behind a built-in cupboard. The lady of the house stared, aghast, a tin in each hand. The poodles were transformed into slavering beasts of action. They scrambled to get to the cupboard and began to systematically destroy it, scratching and gnawing, baying with blood lust. Powerless to intervene, I hastily ushered the kids back to the TV. 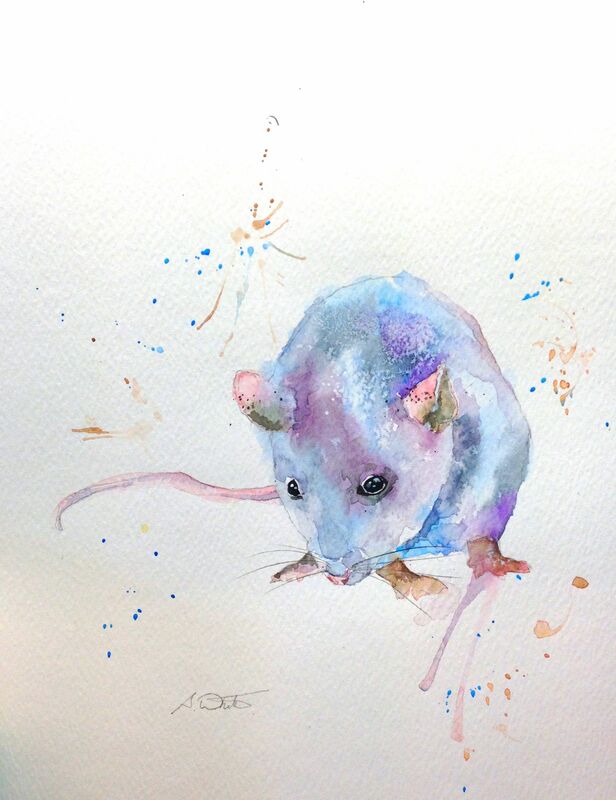 I felt guilty on two fronts: for bringing a mouse into a house in which we were guests and where he was evidently not considered an adorable pet, and for betraying a companion in his moment of need. I should have stayed where I was. Squeaky scampered desperately from behind the cupboard to the fridge. In all the confusion, I thought I was the only one to see him make his move and I tried to conceal him with my body. Too late. One of the poodles spotted him. Oh, how I loathed it. Heavily armed with brooms, dogs at the ready, Frank and our agitated hostess pulled the fridge away from the wall. I caught a brief glimpse of Squeaky making a last stand, whiskers bristling, eyes brilliant black, defiant in the face of his final, glorious adventure. With triumphant howls, the dogs descended on him. 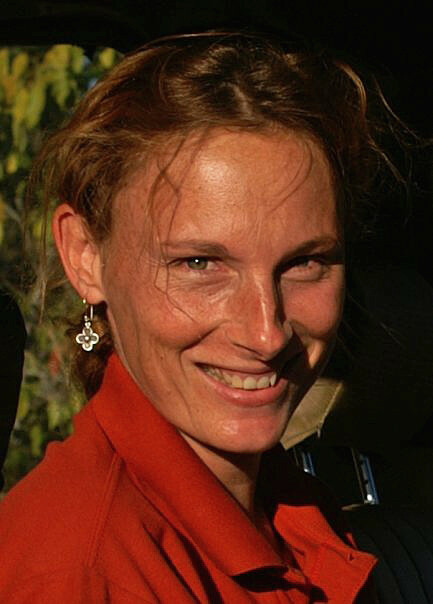 Jessica Groenendijk is a Dutch biologist turned conservationist and writer. She was born in Colombia, has lived in Burkina Faso, Holland, Tanzania and England, crossed the Atlantic Ocean twice on a sail boat between the ages of 6 and 10, worked with black rhinos in Zambia and giant otters in Peru, and currently lives in Lima. She fuses her work in conservation and her personal experiences of wildlife and wild places with her passion for words and photography to help deepen our connection with, and empathy for, nature. Her blog Nature Bytes was recently Highly Commended in the International Category of the 2015 BBC Wildlife Blogger Awards and her work has been published in BBC Wildlife Magazine, Africa Geographic, Sevenseas, Zoomorphic, and Animal: A Beast of a Literary Magazine. Please visit her author web site: http://www.jessicagroenendijk.com and her Facebook page: http://www.facebook.com/jessica.groenendijk.author. I truly enjoyed your story and found it easy to empathize with each point of view.You might enjoy my short story on Scribophile. Look for Some Mouse Tales by Audrie Clifford.